In the world of ‘study abroad,’ there is a universal desire to travel as much as possible. As a student living in London this semester, I feel this urge every day. The idea of jetting off to a new country every weekend is something worth daydreaming about in class, but in reality, traveling can be more challenging than it seems. With a jam-packed schedule of classes and internships during the week, students are often only left with a two or three-day weekends to travel somewhere out of their home cities. Morning — Start your morning at Torvehallerne, also known as The Glass Market. 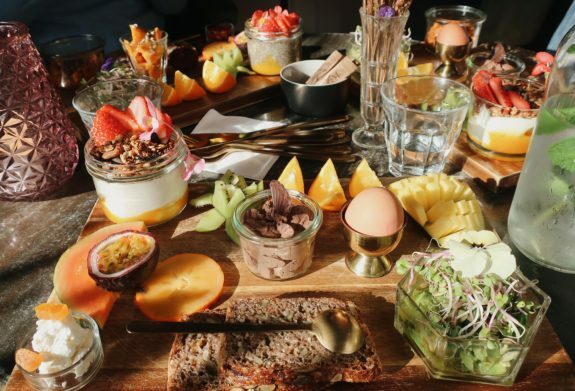 Located in the city center, this food and crafts market offers plentiful options for breakfast and lunch, ranging from fresh, exotic fruit, colorful cold pressed juices, buttery pastries, and classic Scandinavian open-faced sandwiches (smørrebrød). One word of advice: go hungry. An assortment of breakfast and lunch options are available at The Glass Market. Afternoon — Spend the afternoon exploring my favorite part of the city — the streets. 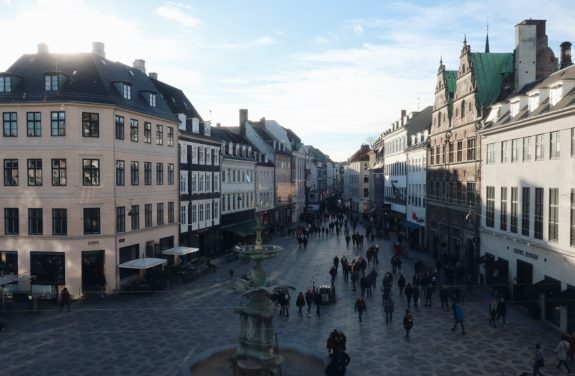 Copenhagen is filled with many charming city squares, as well as Strøget, one of Europe’s longest pedestrian-only streets. If you’re interested in shopping, there is a vast range of shops around the city such as Hay House for Scandinavian design and home decor, and Moss for trendy, Nordic fashion pieces. The city streets of Copenhagen. Evening — There is nothing more special than spending the golden hour at Nyhavn. The waterfront district boasts colorful houses and the city’s canal. 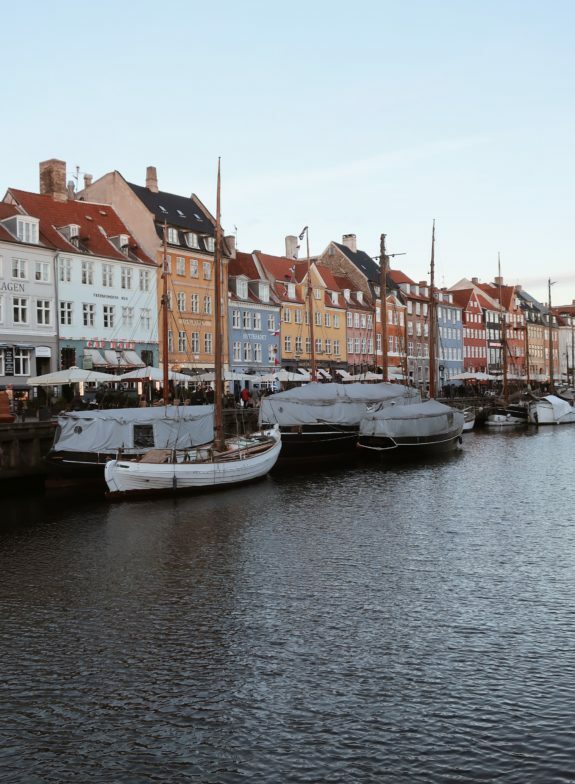 Nyhavn is the perfect place to take an evening stroll, snap some Instagram-worthy photos, and enjoy a harborside dinner. The area dates back to the 17th century and today, it is a premier entertainment center due to its plethora of restaurants, cafes and bars. 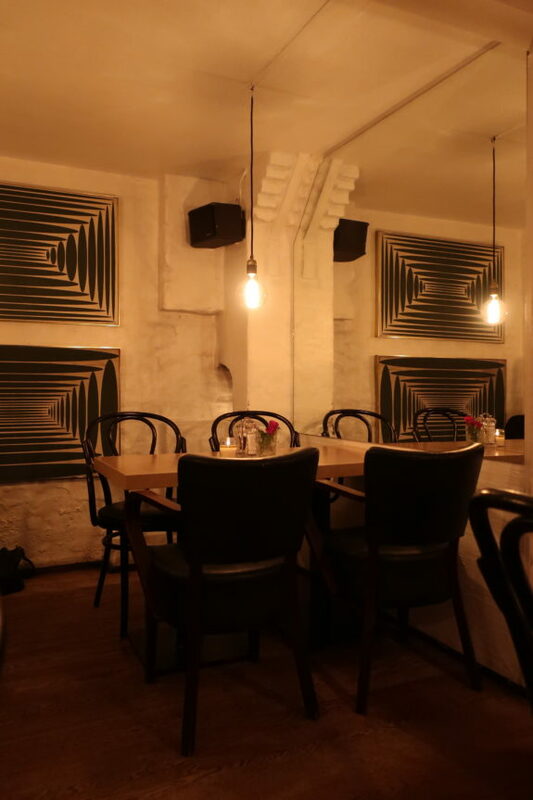 Night — A cosy, authentic Danish dinner is a must in Copenhagen. After a long, relaxing meal, take a night stroll around the city to explore some of Copenhagen’s bar scene and nightlife. The Jane, 1656 and The Barking Dog are some to check out. An intimate setting for dinner. Morning — Wake up the next day to a life-changing brunch. 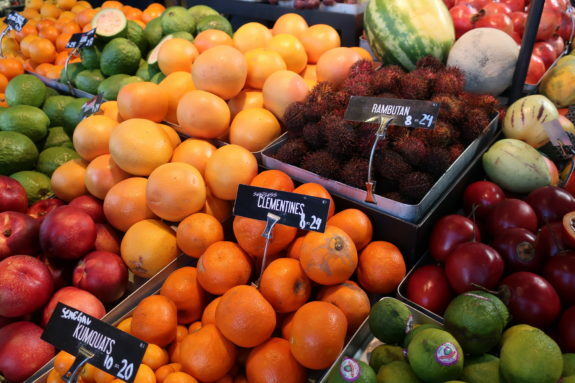 Whether you want to head to a local cafe, a hole-in-the-wall eatery or a top-rated restaurant for your morning meal, you are almost always promised the freshest ingredients. Make sure to enjoy some Danish classics, such as cinnamon swirls, cardamom buns, and rye bread. 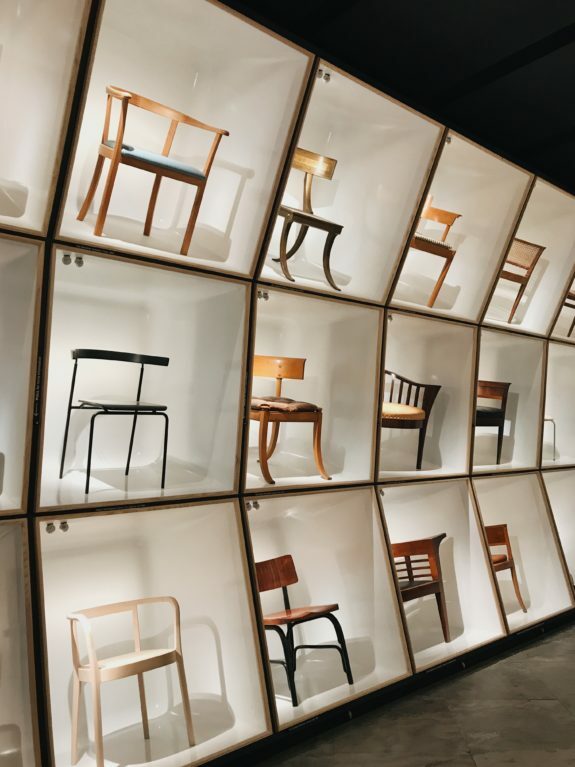 Afternoon — Enjoy the afternoon at a museum, such as the Designmuseum or the National Museum of Denmark. A visit to a museum, gallery, or exhibition will give you unparalleled insight into the city’s history and culture. For a midday break, stop by a bakery or cafe and enjoy a sweet Danish treat. Many museums offer free admission for students. 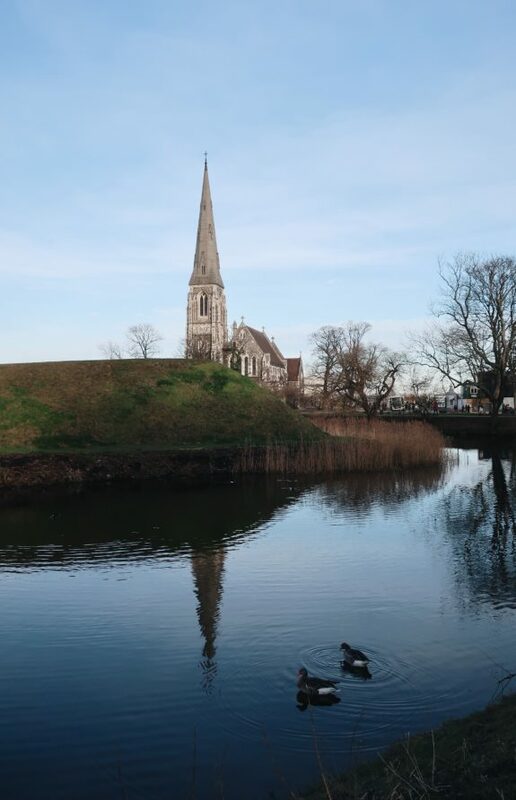 Evening — As the day begins to wind down, take a tranquil stroll at one of Copenhagen’s parks and get a sense of what makes this city one of the most sustainable cities in the world. 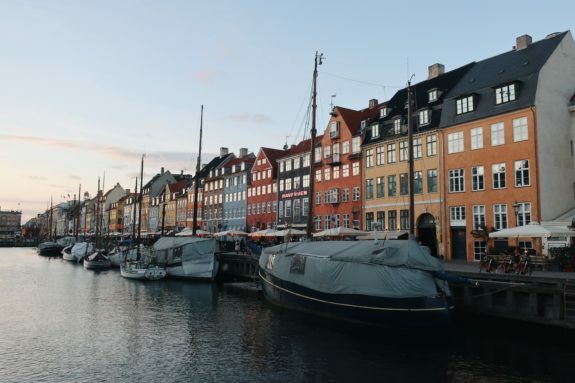 With its green spaces and strong biking culture, Copenhagen is on track to becoming the first carbon-neutral city by 2025. Some favorite spots in this Danish capital include The Citadel and King’s Garden. Night — Experience one of the city’s finest gems with a visit to Tivoli Gardens, an old-world amusement park. As the second oldest operating amusement park in the world, Tivoli has retained its 18th century charm. The park features bright lights, roller coasters, a pagoda, ice skating rink, carousels, and food stands that offer mulled wine and chimney cakes. 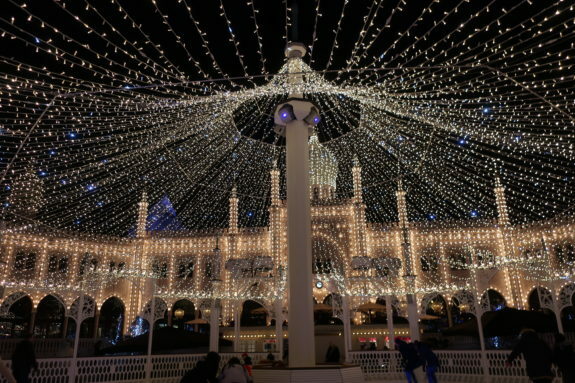 The lights of Tivoli Gardens. 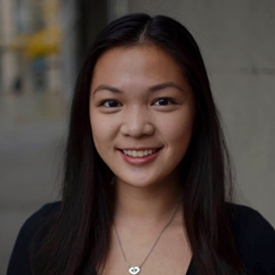 Celeste Lim is a junior at Boston University, majoring in public relations. She is currently studying abroad in London, England, and will be interning at United Airlines. In Boston, Celeste is a member and PR Director of Her Campus Boston University. In her free time, she enjoys traveling, taking photos, and consuming vast amounts of lattes.